The numerous benefits of Bitter gourd have been handed over to us by Ayurveda. Bitter gourd is scientifically known as Momordica charantia. Bitter gourd in hindi is called Karela. Bitter gourd in tamil is called paavakai. In telgu it is called kakarakai and hagara kai in kannada. Karela is a seasonal vegetable that is very popular all over India. As the name suggests , bitter gourd is highly bitter in taste, but it is full of goodness and so it is cooked in different forms in the Indian States. It is called Karelu in Gujarati, Korolla in Bengali, Kakara kayi in Telugu, Pavakkai in Tamil and Karali in Marathi. This vegetable with small ugly bumps on its skin is a highly rich source of phosphorus, which helps in building healthy teeth and bones along with calcium. Bitter gourd is loaded with nutrients and possesses various therapeutic properties which contribute to benefits of bitter gourd . Hence karela is used to treat various health problems. Karela is used in various traditional medicines in India to treat skin diseases, diabetes and respiratory ailments. Bitter gourd is used in herbal medicines in Africa to treat various stomach infections. Other benefits of bitter gourd are attributed to its properties like appetizing, laxative, antidotal, stomachic and antipyretic.Let us see these benefits of bitter gourd one by one . Bitter gourd is considered as a plant-insulin due to the presence of peptides and alkaloids. These compounds helps to decrease the sugar levels in your blood and urine. This hypoglycemic nature of bitter gourd helps to deal with Type II diabetes. 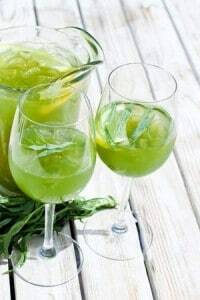 Drinking bitter gourd juice is one of the best ways to benefit from this bitter melon. However, one thing must be kept in mind while consuming bitter gourd. If you’re diabetic and are also using drugs to control your sugar, then you must monitor your sugar levels regularly. Consuming medication and bitter gourd simultaneously may case your sugar levels to fall abruptly. Consult your physician for proper guidance. • Peel a bitter gourd, remove the seeds and chop it. • Put the pieces of bitter gourd along with some ice into the juicer. • Grind till you have a smooth fluid. • You can add a teaspoon of honey and/or lemon juice to get rid of the bitter taste of bitter gourd). Fats like LDL( the bad cholesterol) often get deposited in the walls of the arteries and clog them. This increases the chance of a heart disease. Bitter gourd helps to burn the unnecessary fats from the arterial walls. When the cholesterol is reduced, you stand less chances of suffering from a heart attack. So, keep your heart healthy by including this bitter vegetable in your diet! In Northern India, it is usually cooked as a dry vegetable and served with a tomato onion raita to overcome the bitterness. Bitter gourd contains blood-purifying properties. It purifies your blood and helps to get rid of acne and blemishes. Chapped skin, boils, eruptions of the skin and burns can also be healed by drinking bitter gourd. Other skin infections such as ringworm, athlete’s foot and psoriasis can also be improved by consuming bitter gourd juice regularly. Bitter gourd juice helps a great deal to keep your stomach healthy. It is high in cellulose, that is fiber and it helps to prevent constipation. Piles can be cured by consuming a mixture of bitter gourd juice and buttermilk for a month, every morning. 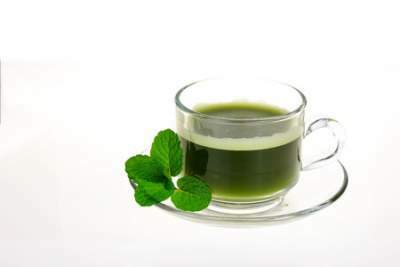 Since it purifies the blood and gets rid of the toxins from the body, it is very beneficial during jaundice. Bitter Gourd stimulates the secretion of the gastric juices and aids in digestion. It is also used to treat diarrhea and intestinal worms. The juice of bitter gourd leaves is very advantageous in the early stages of cholera. For piles – Mix Bitter gourd juie with equal amount of buttermilk and consume for 1 month. For Jaundice – Cook Bitter gourd vegetable in a little jaggery and consume once a day for 1 week. For cholera – Mix two teaspoons each of onion juice and bitter gourd juice with a teaspoon of lemon juice to cure cholera. Kidney stones can be really painful but bitter gourd can help you to get rid of them. Bitter gourd helps to break down the kidney stones naturally. Furthermore, it helps to reduce acid so that kidney stones do not get produced again. Bitter gourd tea recipe – Boil water in a pan and add some bitter gourd powder to it, add 1 tsp lemon juice. This tea is really healthy and surprisingly it won’t taste very bitter! Bitter gourd is very useful to treat respiratory problems. Karela benefits in fighting asthma, pharyngitis and bronchitis. Just dilute 2 ounces of fresh bitter gourd juice with a teaspoon of honey and some water. You can also prepare a paste of basil and bitter gourd leaves and take it with honey, to cure cough and cold. Bitter gourd improves your metfabolism by secreting more bile juices and hence it helps you to get back in shape. Not only is it very low in calories, it is also very filling. You won’t feel like eating and snacking for quite some time after eating it. 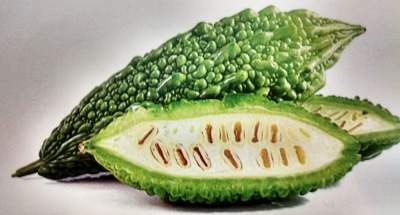 Bitter gourd juice is considered as the best cure for eliminating eye disorders and for improving one’s eyesight. This is due to the presence of beta-carotene. It also helps to regulate your sleep patterns. One glass of bitter gourd juice daily acts as a liver tonic. It helps to lose weight, reduces retention of fluids, relieves irritable bowel syndrome, cirrhosis of the liver, improves the gall bladder and helps treat hepatitis. Your daily dietary requirement of Vitamin K is easily met by consuming bitter gourd. Vitamin K contains anti-inflammatory properties and it helps to maintain healthy bones. It helps in taking calcium to all parts of the body. Vitamin K is also helpful in blood clotting. Bitter gourd is known to strengthen the immune system and increase your stamina. It energizes and rejuvenates you. It helps to fight against infections and improves the body’s resistance to diseases. The greatest and biggest benefit of bitter gourd is that it helps to get rid of a hangover. One glass of bitter gourd juice helps to remove the effect of alcohol intoxication and cleanse the liver. Although bitter gourd is very nutritious and there are various benefits of bitter gourd (karela), pregnant women and small children should refrain from eating it. Some compounds that are found in bitter gourd can harm the baby and the womb of a pregnant woman. The hypoglycemic properties of this vegetable can make the sugar levels of a child drop below the prescribed levels. The alkaloids contained in bitter gourd, namely saponic glycosides; resins and quinine may be unbearable for some people and can lead to toxicity. The affected people can show all or some symptoms of toxicity such as nausea, rashes, vomiting, stomachache and excessive salivation. Bitter gourd or Karela is considered to be one of the healthiest vegetables in the Indian subcontinent. If you any queries or suggestions about the way it can be cooked or about the benefits of bitter gourd, please leave a comment below and we will get back to you. I am consuming daily everying morning to avoid excess pin worm in intestine after I suspected that I am affected with excess pin worm in my body..does it helpful for me please suggest Ma’am (admin). you shpould go for medications immediately. bitter gourd helps but not sure of the efficiency. How much quantity should be consumed on daily basis for allergic skin problems and for how long it should be continued?? Can it be taken along with or just before having Kokam juice??? you can have juice of 1 regular size karela early in the morning on empty stomach . That was a great article !! 1- Does it lead to constipation? 2- I have read somewhere that it affects ones sexual life , is that possible? 3- If some one with dry skin should consume juice of 1 karela everyday? 4-For how long we can consume the juice regularly, 12 months or less ? 5-Can we also combine it with other juices like beetroot, cucumber, amla & apple ? Will this combo do ? Looking forward for your reply and thanks a lot in advance.. !!!! It normally doesnt . but different foods have different reaction on systems of different people . so it may be causing constipation to you ..
depends on your purpose behind consuming . Hi Aastha , what you have heard is incorrect . sont worry it is safe for you as well. can bitter gourd treat Hepatitis A, B and C? If yes, what is the duration of treatment? It supports the treatment , but it cannot cure the disease . I make bittermelon juice as often as my vines will produce the needed fruits. Your récipe is almost the same as mine except that I use wáter not ice and I do not peel the fruits. I add enough wáter to make a nice amount of juice. Once pureed in the blender I pour it thru a sieve to take out the solids. I then add some lemon juice to tone down its bitter taste. When I have enough fruits I drink a small glass of this in the morning and again in the evening. Absolutely excellent health tonic for the digestive system. This tonic will stay good at least 3 days in the fridge. Bittermelon is best used when it is shiny light Green. If it is allowed to ripen it is still OK to consume but it will ferment rather quickly if you juice it so it needs to be used quickly. I have been growing and using bittermelon juice for several years. Excellent medicinal fruit.